"Dreamy" best describes this gorgeous 2, 000+ sq.ft. 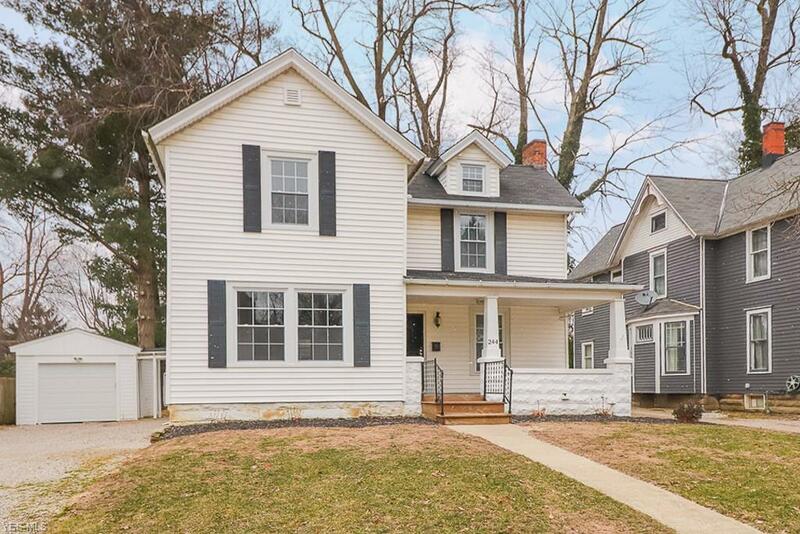 tastefully remodeled 3+ bdrm 2.5 bath home conveniently nestled off Washington Avenue & near town! Three rare features here: ~ first floor laundry~ first floor half bath~master suite with private full bath! Striking old farmhouse style curb appeal, love at first sight! Huge living/dining room combo complete with tall ceilings, beamed ceiling, built-ins and a stylish white brick fireplace w/mantle. Bright & cozy office/sunroom with built in shelving and original wood french doors! Spacious kitchen boasts breakfast bar, granite counters, stainless steel appliances. Dining area has built in shelving. First floor laundry room! Upstairs has updated baths with ceramic tile. Master bedroom has a dressing/sitting room and private full bath with a walk in shower and tile flooring! Unique wood beamed ceiling and extra deep closet in bedroom #2. Bedroom #3 offers a bonus/extension area with window seat/built ins. SO MANY big ticket updates made since '16/17- windows, plumbing, HVAC, electrical, furnace, h20 tank, central air! Covered walkway to the detached garage, 60x165 lot is spacious! Front porch charm! Incredible size and condition for under $150k in a very limited inventory market!